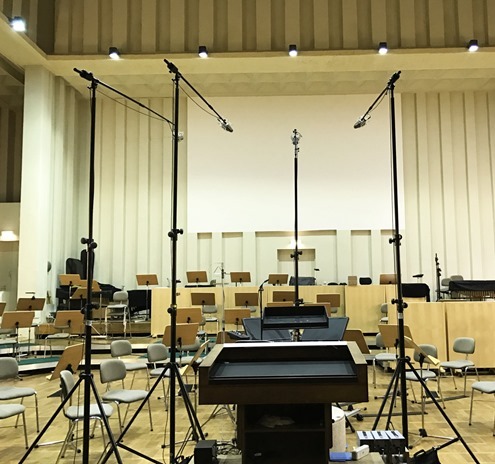 The German Film Orchestra and its dedicated studio and scoring stage is by any pro audio measure a major facility, yet it is only part of the overall Studio Babelsberg that is also one of Europe’s largest film studios. 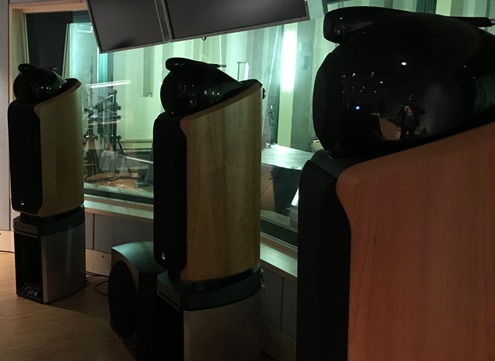 We were fortunate to be invited to visit this amazing facility for a chat and a tour around the German Film Orchestra’s studios, scoring stage and ‘machine park’, hosted and guided by Head Studio Engineer, Falko Duczmal. 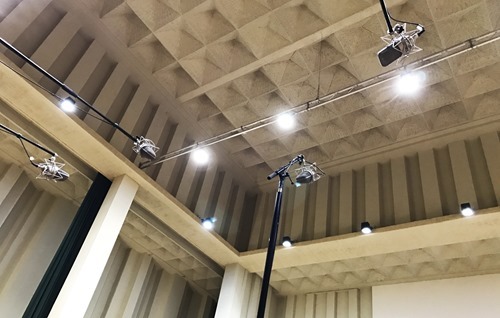 The first ‘room’ we enter is actually the massive scoring stage / recording hall that takes up 350m2, has 11m to the ceiling and is methodically treated and perfected in terms of room acoustics. The regular habitants of this grand hall are the orchestra members that count 50 musicians all of which are full-time employees. However, if a certain recording needs even more musicians, additional and highly professional freelancers are hired. Obviously, the orchestra records for many German film and television productions, but it is also widely used in an international context – not only in film and television, but also for music productions. On the film credit list, you will find titles such as Sleepless, Hitman – Agent47, Walking with Dinosaurs, Anonymous, Ninja Assassin and The Musketeers, and for additional orchestra parts for commercial album releases, clients include: Rammstein, Bryan Adams, Celine Dion, Terrence Blanchard, Sting and many others. One of the challenges that may occur when working with orchestral music is the issue of the grand piano tuning in a classical music setting. Normally, the instruments are tuned in standard pitch A=440Hz, but in Germany grand pianos are tuned to play this note at 443Hz and therefore it is normal for symphonic orchestras in Germany to play in 443Hz altogether. And these 3Hz definitely makes a significant difference if you try to add the orchestra to other tracks already recorded in 440Hz. But as Falko Duczmal explains to us, they have found a way to compensate for this by using the Vari-Speed option in Avid’s Sync HD. They are actually changing the pitch in real-time during recording. We will come back to the technical details of the setup in a bit. Backstage, we find the machine room, including a rack that serves as home to the Studio’s Pro Tools HDX system and 3 of our AX32 AD/DA converters; each of which is equipped with 24 inputs and outputs. Florian Strucken of AVS-Medientechnik GmbH worked with Studio Babelsberg as a technical consultant and integrator on designing and installing the project. 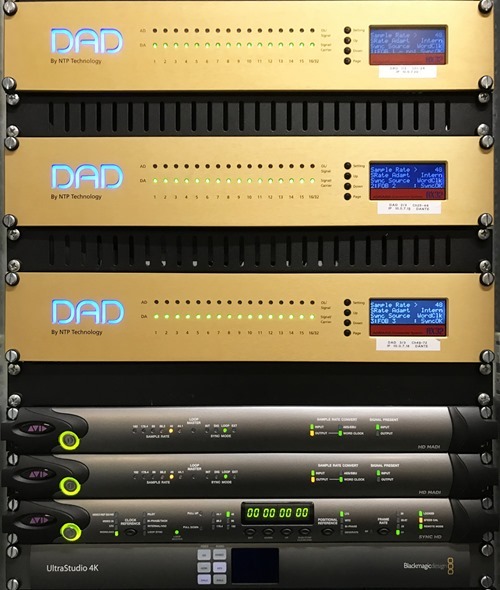 The two control rooms of the Scoring Stage are connected digitally and on either side of the workflow within the digital domain, the AX32 units are guarding the digital gateways, making sure that both the AD and DA conversion is absolutely flawless. 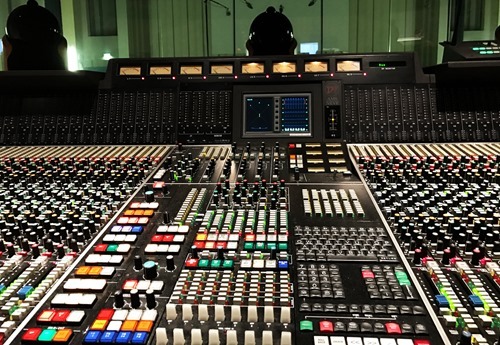 In the main control room – the one with a view to the recording hall – there is an amazing 72-fader analog NEVE VXS console, and in the second control room, you will find a similarly impressive SSL C200 digital console. That, however, is only part of the story behind the German Film Orchestra studio setup. As mentioned in the above, there is a need for using Vari-Speed, which is easy to apply in Pro Tools after a recording session, but if you need to change the pitch, but not the speed, in real time, the only solution available is Avid’s Sync HD. Therefore, the 72 analog outputs from the tracking desk – the Neve – are converted to digital by the AX32 units and then passed on to two 64-channel Avid MADI interfaces that are the direct link into Pro Tools. Falko Duczmal shares with us that setting the Vari-Speed to +0.12 cents compensates for the 3Hz, as 1Hz equals approximately 0.04 cents, and that the solution works out absolutely perfectly. While Falko Duczmal and his staff are beginning to move towards ‘mixing in the box’, they still frequently use the option to route the channels via the AX32s to the SSL console in the second control room for further mixing. Whenever sound is being captured, microphones are a major topic. And the Scoring Stage Babelsberg is no exception in that regard. Apart from the obligatory Decca Tree setup, they also use additional room mics, as well as spot mics on every instrument or desk. And they have a soft spot for Neumann mics. The ‘fruits’ on the Decca Tree are Neumann M150 tube microphones, but you will also find 10 U47, 30 KM184, 5 U87, 15 TLM103, 3 M147, a KM140, an SM69 and a TLM170 from Neumann in the mic collection. “We have all the microphones that we need, but it’s always good to have more options to choose from, so we’re constantly searching for new ones as well that may have a different flavor. The German Film Orchestra is a full symphony orchestra and while they also do play live concerts regularly in the same way as other symphonies, they do work a little differently in the studio. This is of course due to the nature of being specialized in film production where the orchestra needs to be synchronized perfectly to the visual side of things. "The main difference between recording our orchestra and other symphonic orchestras is that we almost always record to a click track to stay in sync with the picture. Sometimes, there may also be another pre-recorded track that we add overdubs to, and in those cases, we would typically receive Pro Tools session files in advance and then we set up our system accordingly and can record to the same set of bars and beats. And everyone has the click track in their headphones – all of the musicians as well as the conductor. In rare occasions, there is room for more freedom in terms of timing and sync, and then only the conductor will have the click track in the headphones. Working to picture also changes the way of a recording session in terms of fragmentation. Rather than recording large sections or movements at a time, a film score is often compiled from lots of small bits and pieces that could be as short as 20-30 seconds. Therefore, we asked Falko how long a typical score for a feature film would take to deliver. “Well, considering that there are many short fragments that might need a handful of takes to be perfect, I’d say that on average – and depending on the complexity of the project – we could record anywhere from 20-40 minutes of material in a day. And the typical 90-minute film would have about 60 minutes of music – in some cases this would all be orchestral and in others it may be a mix between orchestra and for instance electronic music. Then, of course, there is a whole other stage of production where the music is mixed with the dialog and effects tracks, but that will happen at another facility and is a whole other side of the story. 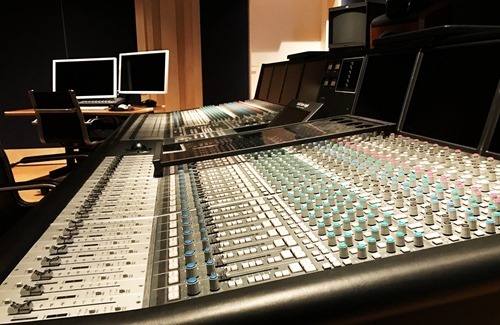 However, the sound postproduction is by no means disconnected as it is of course part of an overall production in which collaboration is always key. “Before we start recording, we talk to the composer and the post mixing engineer to find out how they would prefer the delivery in terms of a full mix or individual stems. You see, in most cases, the orchestra will sound best when playing ‘tutti’ – or all at once – but from a mixing perspective, it may be more important to be able to control each section of the orchestra completely separately. If that is what they prefer, we will record e.g. strings first, then add brass and woodwind, etc. 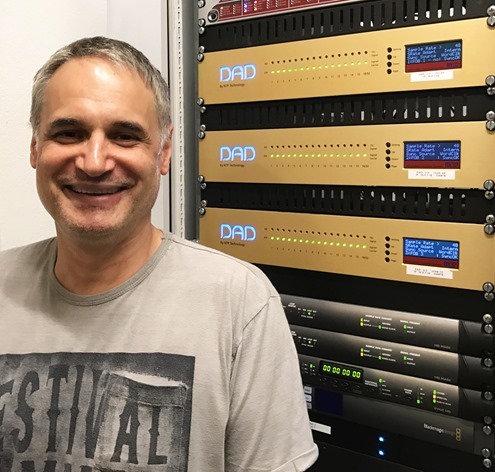 There is no doubt that the German Film Orchestra at Studio Babelsberg is running an extremely tight operation – a well-oiled music-delivering machine that is capable of delivering top-shelf results for any type of film score or music CD production. It was truly a pleasure visiting and experiencing first-hand how our converters are being put good use out there in real-world, high-end applications, ensuring that the sound you will hear on films blessed with this orchestra’s touch will sound absolutely stunning both in terms of sound quality and sheer musicality.